Many are aware of antioxidants that are rich in certain foods and supplements. But few know of glutathione’s importance with the whole scheme of antioxidants. They’re important and unique because they are able to recycle spent antioxidants and put them back into action. All antioxidants bond or capture free radicals and toxins that can and do harm cells and impede their metabolic functions. Insufficient antioxidant activity leads to tissue inflammation, autoimmune diseases, and lowers natural immunity to contagious diseases. Once those radicals and other toxins are removed by antioxidants, they are “full” and no longer have the capacity to grab onto and remove free radicals and other toxins from our cells. But glutathione (pronounced glute-oh-thigh-own) can “reduce” their load of free radicals and recycle them back into the body from the liver. Glutathione activity is originated in our bodies by the liver, which contains the largest supply of glutathione, and it should also be present throughout the body within cells and outside cells in the blood. But when toxins and free radicals exceed the liver’s glutathione production and its intracellular activity of both eliminating toxins and restoring or “reducing” antioxidants, the process of clearing toxins and free radicals is diminished. The result is poor health and rapid aging. Since WWII, our environmental toxicity, food toxicity, and medical toxicity has increased exponentially. Three generations of human evolution were not enough to evolve our genetic capacity for increasing our glutathione to keep up with this increased toxic load we live in. Glutathione becomes inactive when it becomes saturated from doing its work of collecting free radicals, but it tends to regenerate itself within the liver. Under ideal conditions, 10% of the glutathione remains inactive, or oxidized, while the other 90% is active, or reduced. Reduced or active glutathione is known as GHS, which continues to assist cleansing cells of toxins and recycling other antioxidants. As the active glutathione or GHS drops below 90% and allows the inactive to increase beyond 10%, the struggle for optimum health becomes a losing battle. It becomes too difficult to remove toxins naturally. As active glutathione diminishes even more, inactive glutathione known as GSSG increases. When GSH falls below 70% with its corresponding increase of GSSG, darkness descends on one’s immune system. As we age, our liver’s ability to convert GSSG into GSH diminishes. Of course anyone with liver issues at any age may have this problem as well. Many consider aging diseases to be caused by this impairment, confirming the belief that maintaining high GSH levels is a key to anti-aging. This includes reducing ailments considered part of aging, maintaining adequate energy, and recovering from illness, infection, or severe medical interventions for physical traumas. Another study involving a thorough analysis of glutathione’s cellular protective role is available here. 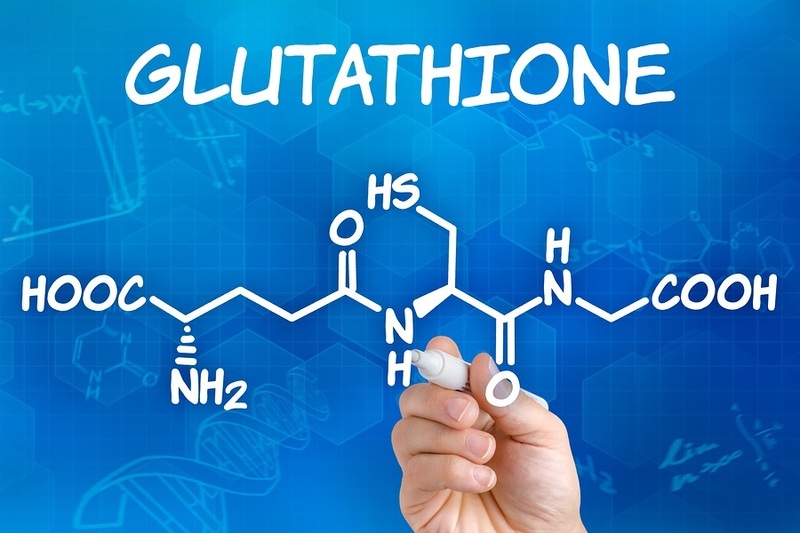 If you wish to peruse or closely analyze an even more thorough technical analysis of glutathione’s biochemical activities, you can do that here. As mentioned, it is normally produced in the liver as the body’s antioxidant alternator or generator. But adding glutathione directly from foods and supplements is unworkable because it doesn’t remain intact through the gastrointestinal tract enough to be absorbed into the blood through the small intestines. Oral supplements that contribute to creating GHS are available and inexpensive. The most common one is NAC or N acetyl cysteine. You’ll find NAC in supplement sections of health food stores or other supplement sources. Select NAC from reliable brands that are not “powered up” with additional ingredients. It’s the cysteine that’s important. Then there is whey, which has to be pure and unadulterated. That’s not the norm for whey products favored by body builders for muscle building protein. The whey should be pure and from the milk of freely grazing grass fed cows that are not injected with hormones or antibiotics. The milk from which the whey is extracted should be raw, not pasteurized. There should be no additives in the whey powder. One method is using the liposomal technology of lipid encapsulation technology (LET) that created liposomal C, which enabled the vitamin to access cells more directly. LET also protects whatever is encapsulated from stomach acids to retain its integrity throughout the digestive process. So LET was perfect for oral glutathione. The other method involves slowly dripping IV solutions directly into one’s vein. This has been popularized with the recent surge of IV vitamin therapy centers. A less expensive direct application of glutathione is achieved with glutathione patches.